Accidents happen. And they happen all the time. The key to managing stressful moments like these is to be prepared. The number one issue my clients run into, once their car is damaged, is having to pay out enormous deductibles. You must pay your deductible before the insurance kicks in. 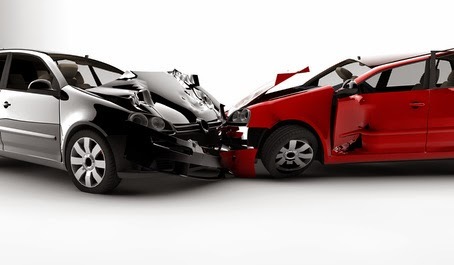 Remember, a higher deductible means you will pay more out of pocket in the event of an accident. If you got into a car accident tomorrow, would you be able to pay $1,000? Your insurance company won't pay until you meet the deductible and repair shops will charge storage fees if they're waiting on you to save up to pay your deductible. Let's say you have $800 worth of damage but you have $1,000 deductible. What good is saving a few dollars a month when you have to come out-of-pocket to pay because, although the damage is substantial, the damage hasn't met your deductible amount. You must consider this very real scenario when assessing your auto insurance coverage because this happens all too often. Saving money by raising a deductible assumes that you have the cash on hand to cover the deductible in the event an accident occurs. If you raise your auto deductible from $200 to $1,000, you’ll see a big drop in your bill, but if something goes wrong with your car, you’re going to need that $1,000. If you don’t have that $1,000 in an easy-to-access place, then you’re in real trouble. The solution is simple: if you have a well-funded emergency fund in a savings account somewhere, you can raise your deductibles some without worry. A well-funded emergency fund means a minimum of a couple months’ worth of living expenses, plus more if you have dependents. If you have that kind of cash that can be accessed with ease, then by all means, raise your deductibles. Problem is, most of us simply don't do this. Won’t lowering my deductible cost me more money? Many people who consider lowering their deductible ask themselves whether such a move will cost them more in the long run. After all, if they’re having to come up with more money each bill, are they really saving money overall? This difference in decreasing your deductible from $1,000 to $250 is minimal over a 12 month period. The amount he pays for liability coverage doesn't change, because that's determined by how much coverage he has bought. In this case, that's $100,000 bodily injury liability per person, $300,000 per accident and $50,000 in property damage liability. But rates for the physical damages coverages to the Accord change substantially. In this example, the driver changing his deductible from $250 to $500 risks $250, but saves $78. If he goes three years without an accident, he'll be ahead of the game. If he raises his deductible to $2,500, he risks an additional $2,250, but saves $268 a year. He would have to go eight years without an accident to cover the additional risk. But none of the math matters if he doesn't have enough money in the bank to pay the deductible. Good Luck And Safe Driving! all photos belong to Jay's Freeway Collision, Inc. Graphics by Aixa Diaz. Awesome Inc. theme. Powered by Blogger.